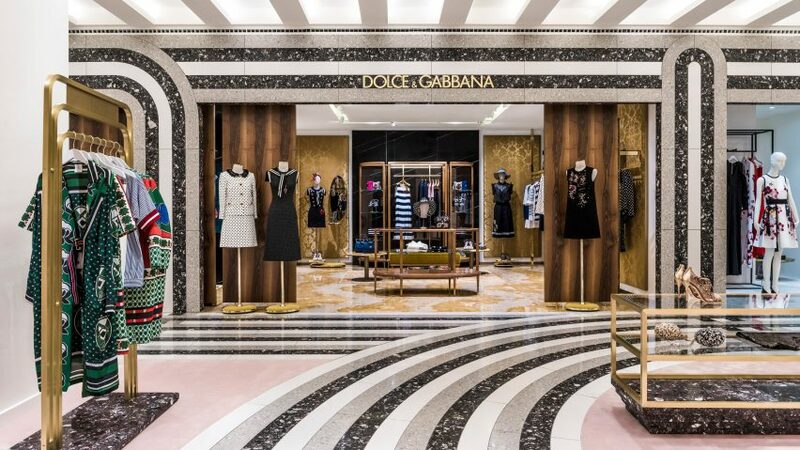 French architect India Mahdavi has used different shades of quartz to create bold, geometric floor patterns in the womenswear section of historic Berlin department store KaDeWe. Mahdavi wanted to celebrate the cultural history of the German city with her design for KaDeWe, short for Kaufhaus des Westens, which has been open in Berlin since 1907. With the busy environment of the shopping centre in mind, her KaDeWe design is also intended to stick out. Rem Koolhaas' firm OMA is currently renovating the entire of KaDeWe. The firm has re-envisioned the 60,000 square-metre space as four separate entities, with elaborate staircases to unite the quadrants.